Mozilla has launched Firefox 4 for Android – allowing people to use the latest incarnation of the popular browser on their handsets. Firefox has become a standard bearer for the underdog after years facing off against Microsoft's dominant Internet Explorer on PC, but the mobile sector may well prove to be a tougher nut to crack. Android is obviously a part of Google, which offers up a default browser that is considered one of the best - fighting it out with supremacy with Apple's offering on iOS. "Firefox for mobile allows users to take the Firefox experience they love everywhere and minimizes typing with features like tabbed browsing, bookmarks, add-ons and Firefox Sync," explained Mozilla. "With a sleek new look that hides browser controls when not in use, Firefox allows users to focus on the websites they visit. 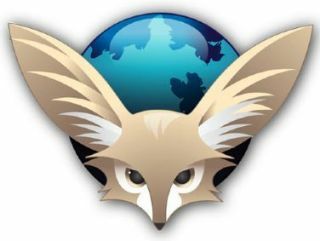 Firefox Sync gives users seamless access to their browsing history, bookmarks, open tabs, form data and passwords across computers and mobile devices. "Firefox also offers thousands of ways to customize the features, functionality and look of mobile Web browsing with Firefox Add-ons. The mobile browser tech is built on the same technology as its big desktop brother – and integrates things like HTML5.